Ohio is facing a major opioid overdose crisis. And as many Ohio families fight opioid abuse, the impact cascades into the learning environments in Ohio schools. Last fall, Superintendent of Public Instruction Paolo DeMaria and the Ohio STEM Learning Network challenged Ohio’s students to design solutions to help end the opioid crisis. Throughout this school year, more than 1,200 students accepted the challenge and developed hundreds of ideas to fight opioid abuse. North High School (NHS) was waning in attendance for years and was in danger of closing altogether before refugee resettlement kicked in. Now, NHS has become known as Ohio’s most diverse public school. They are a small band of women, but mighty, striving to give every young girl a royal experience, at no charge to the recipients. 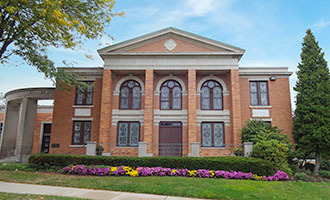 For the 16th year, Altrusa International of Akron is sponsoring its annual Princess Night Project – Free Prom Dress and Accessory Giveaway – March 19 from 10 a.m. to 2 p.m. at the Family of Faith United Methodist Church, 800 W. Market St., Akron. There are no need qualifications for the prom dress giveaway and no recommendations from schools or social agencies are needed. 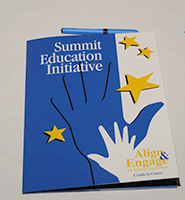 The Summit Education Initiative is an organization that brings together a broad coalition of community partners with the goal of improving education in Summit County. The group uses data to track the progress of current programs and helps schools predict early in a child’s education whether they are likely to achieve later on. This helps educators help children who are falling behind. This group not only works with public schools, but also private, parochial and charter schools, along with community organizations. When Akron Digital Academy Superintendent and Executive Director Dr. David Bowlin accepted his position in July 2013 he made it very clear what he wanted for his students. And now that vision is becoming a reality.